December began with a total of 8,143 single-family homes, condominiums and townhouses available. This is a doubling of inventory available during the month of November 2018. The median price range of single-family homes sold during November 2018 is $295,250 a 10% increase from the previous month. Condos and townhouses had a median sale price of $163,500, an increase of 14.3% from the prior month. The average sale price of single-family homes for month ending November 2018 is $345,009 up 9.9% over the last 12 months. For condos/townhouses the average sale price is $176,780, up 14.2% over the last 12 months. 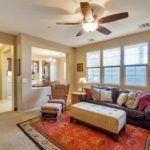 Let us focus on the Las Vegas Condo and Townhome Market. There were 516 units sold during the month of November 2018 at an average sale price of $176,780 up 0.9% from the previous month. During the month of November there were 600 new listings at an average list price of $186,222 up 0.4% from the previous month. Over a 12 month period the average sale price has increased 14.2% and the average listing price has increased just 6.9%. At the end of November 2018 there were 6,615 single-family homes available in the Las Vegas Real Estate Market. This is up a huge 72.9% over the last 12 months. At the end of the November 2018 there were 1,528 condo and town home listings. This is up a colossal 132.9% over the last 12 months. While there is a rise in the number of properties available in the Las Vegas Real Estate market, there needs to be at least a 6 month supply of inventory for the market to be considered balanced. At the end of November there is only a 3 month supply of homes available, which is up significantly over the last twelve months. If you are buying a home in Las Vegas you are going to see a little more inventory available. However the average time on the market is a little over 30 days, so keep in mind properties are moving quickly. Buyers who are looking at the condo/townhouse market may see prices dropping slightly. Buyers looking for single-family homes might see slight increase in prices, as well as slight interest rate increase. If you are on the fence about a property now is the time to decide. Waiting can cost you in the form of a higher monthly payment or seeing the home you want sold. Because there is an increase in listings available on the market, this is the perfect time to sign up and receive email notifications when a new home is listed in the Las Vegas real estate market. Email notifications and instant alerts give you an advantage over other buyers looking for homes. 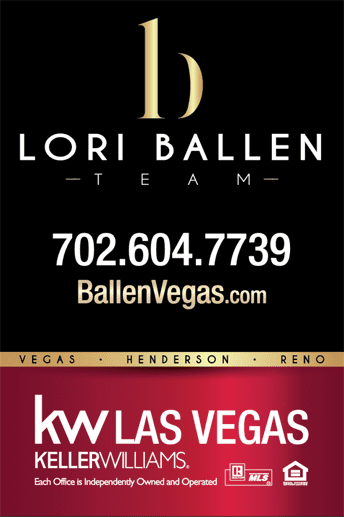 If you are selling a home in Las Vegas expect a slight increase in competition as more listings become available. This is still a seller’s market and most sellers may get very close to their list price. Search the most recent single family homes listings in the Las Vegas market that have been added to the database. All homes are priced in the average sales price range of $345,009 or less. Search the most recent listings in the Las Vegas condo and townhouse market that have been added to the database. All condos and townhouses are priced in the average sales range of $176,780 or less.